The Jake house blind features 29" diameter panels and is 87" long. 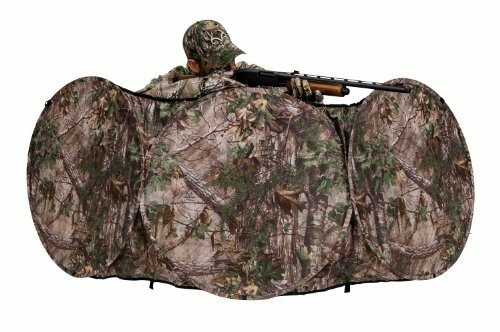 With real tree extra green camo pattern and NS 3 fabric that eliminates shine and excess noise, this blind is extremely portable and concealable for successful turkey hunting. It also comes with stakes and high wind tie downs.